Attention New and Old PTO Players!!! 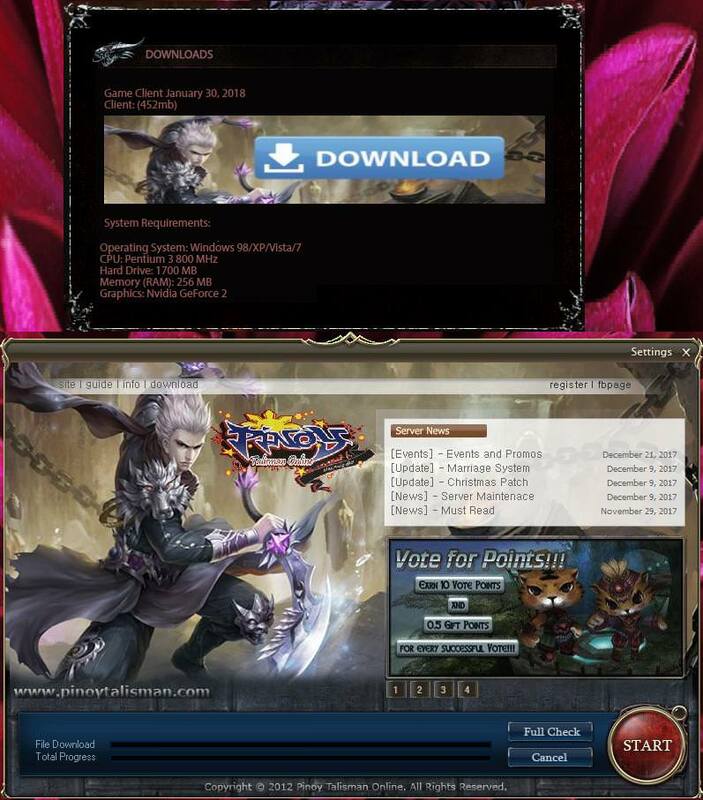 Updated PTO Client and Launcher (452MB) with additional features like Settings and Full Check is now available at the website (https://www.pinoytalisman.com/download), please download the latest client because after one week we will disable the old one. For Old Players, make sure to uninstall the old client and delete “Pinoy Talisman Online” folder of your drive C: before installing the new one to avoid any problem with your new client. Feel free to ask us at yahoomail: [email protected] for support. Copyright © 2012 Pinoy Talisman Online.